Start typing in the Search by species field above to find a species, or see all species with the Browse species button. Start typing in the Search by location field above to choose a location, or use the View map button to pick a location. Click a location on the map to discover information about common species and marine protected areas or start typing in the Search by location field above to choose a location. 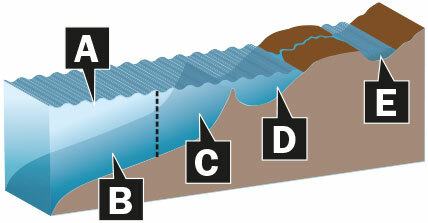 The take or landing of demersal finfish is prohibited within the West Coast Bioregion (Black Point, east of Augusta, to the Zuytdorp Cliffs, north of Kalbarri) during this period. If you catch a demersal finfish from a boat or from shore in this area during the closed season you must return it to the water as soon as possible. The demersal finfish closure is one of several management measures to reduce the recreational catch in this area by at least 50 per cent. This reduction was required following independently reviewed research that showed demersal species, like dhufish, pink snapper and baldchin groper, were being overfished. The seasonal closure and other management measures will be reviewed as the latest stock assessment and catch information becomes available. Fishing for this species from a powered boat requires a Recreational Fishing from Boat Licence (RFBL). fishing by diving and/or snorkelling. You require an RFBL for these fishing activities even if you are returning your catch to the water. You also require an RFBL when a powered boat is used to transport your catch or fishing gear to or from a land-based fishing location, including an island or sandbar. Fishing with a person who holds an RFBL. Taking part in a fishing activity for which you already hold a current licence, such as rock lobster or abalone fishing. For example, if you have a licence to fish for rock lobster and that is the only fishing activity that is taking place on the boat, you don’t need an RFBL. Apply for a new licence or renew an existing licence online. Alternatively, application forms are available from Department of Fisheries offices and online. Note: If you are boat fishing for demersal species in the West Coast Bioregion you must carry a release weight on board. Size limits allow fish to reach maturity to complete their breeding cycle. Measure all your fish and return undersize or excess fish alive to the water. Bag limits assist in sharing the resource and contribute to the sustainable management of the State’s fish stocks. A daily bag limit is the maximum number of fish that you may take or bring onto land in any 24-hour period, from midnight to midnight (except from midday to midday for marron, prawns and when recreational netting). For rules about fish kept and stored beyond 24 hours, see 'Possession limit' for details. This is the maximum number of an individual species that you may take within your total mixed species daily bag limit. For demersal finfish, large pelagic finfish and nearshore/esturarine finfish, an individual daily bag limit for a group of species applies to each of the individual species in that group. For example, emperors (except blue-lined emperor) have an individual daily bag limit of three in all bioregions except the West Coast. They are also within a mixed species daily bag limit of five (across all demersal finfish for these bioregions). 5 fish = 3 spangled emperor (species has an individual species bag limit of 3) and 2 red-throat emperor. This is the combined maximum number of fish of any species within one category (such as demersal, large pelagic, nearshore/estuarine) that you may take. 2 fish = 2 pink snapper (but no other demersal fish). Within the mixed daily bag limit, you cannot exceed the stated individual species daily bag limit. For example, you may only take a maximum of one coral trout per day. For freshwater finfish, baitfish, crustceans, molluscs and other invertebrates - where species are displayed together as a group, rock lobsters for example - the bag limit applies to the group as a whole. attach fish hooks to lobster pots, anchors and anchor lines or moorings. Note: Fishing tackle stores may carry gear that does not meet WA legal requirements. In particular, the use of crab traps, ‘opera house’ traps and bait jigs with more than three hooks are illegal in WA waters. Please check before you make a purchase. This species does not have a specific boat limit, so bag limits apply when fishing from a boat. A fisher who does not hold a Recreational Fishing from Boat Licence (RFBL) can fish with the use of a powered boat if at least one person on board the boat has an RFBL. This is allowed provided the total catch of everyone on board stays within the bag limit(s) of the one or more fishers who hold an RFBL. This only applies to the RFBL and not to other fishing licences. The master of the boat must ensure these rules are followed. Boat limits apply for dhufish, blue swimmer crabs, mud crabs, squid, octopus, cuttlefish, greenlip/brownlip abalone and rock lobster. A boat limit is the maximum number of fish of a species or group of species that may be on a boat or attached to a boat at any one time. This limit applies regardless of how long the vessel is at sea. In some cases there are rules that apply to specific biological regions – the North Coast, Gascoyne Coast, West Coast or South Coast bioregions. aquatic diseases (including fish kills). Illegal fishing could include someone netting in the river, exceeding their bag or possession limits, taking undersize fish, fishing in a closed area, having more fishing gear in the water than they should or illegally selling recreationally caught fish. Where it happened; the nearest known landmark or intersection of the closest road. What type of equipment, cars or boats, registration numbers and descriptions. When it happened: time and date. Is it something that is happening right now, while you are making a report, or was it something you observed previously? Your reports are treated in strict confidence. We recommend you do not approach anyone you think is involved in illegal activity relating to fish or fishing. If you don’t wish to contact us through FishWatch you can pass information to your local Fisheries office or to Fisheries Officers. Call FishWatch now - 1800 815 507. Interfering with another person's fishing gear or catch, selling recreationally caught fish and other similar offences can result in penalties of up to $400,000, imprisonment for four years and loss of boats, vehicles and equipment. Offenders may also lose the privilege of engaging in a licensed fishing activity. Legal fishing gear is outlined below; everything else is illegal. Rods, lines and hooks – you can only use a maximum of three baits or lures on each line. Shore-based fishers may use a maximum of two fishing lines. Rods and lines must be attended. 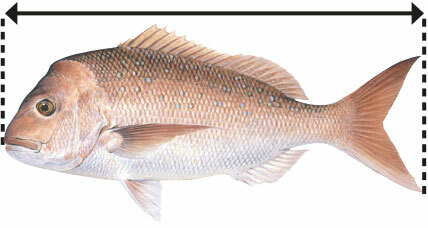 Note: To catch barramundi, you are only permitted to use a single rod, reel and line or a single hand-held line. Rock lobster pots – fishers (including divers) must not remove form the water or interfere with any rock lobster pot that does not belong to them. Fishers who come across someone else's pot that appears snagged or with unmarked floats or without a rope and float attached, are encouraged to record the GPS coordinates and report it to a Fisheries Officer or through Fishwatch. Spearfishing – generally allowed in ocean waters, except in some marine protected areas and around dive wrecks. Further information on specific restrictions in marine protected areas is available from your local Fisheries office or through our location search – click on the 'View map' link at the top of this page or search for your location. All inland waters (rivers, tributaries and dams) are closed to spearfishing. However, the use of a hand spear (gidgie) is permitted to take estuarine cobbler in estuaries. Haul, set and throw fishing nets – most of the State is closed to set and haul netting. See our Recreational Net Fishing Guide for details. Release weights – required if fishing for demersal species in the West Coast Bioregion. Also recommended when fishing for demersal species in other regions. net fishing (set, haul and throw nets). The licence covers a 12-month period from the date of issue. With the exception of the above, you do not require a licence to fish from the shore. You must produce your licence when requested by a Fisheries and Marine Officer. Apply for a new licence or renew an existing licence online. Alternatively, application forms are available from Department of Fisheries offices and online. Fishing licences issues in other states are not valid in Western Australia. Different type of marine protected areas exist in WA waters (to three nautical miles off the coast) and special fishing rules apply. Information about marine protected areas is provided through our location search – click on the 'View map' link at the top of this page or search for your location. Marine protected areas include marine reserves, fish habitat protection areas and other fishing closures such as wreck sites. Most of these areas are subject to additional rules. Marine reserves, which include marine nature reserves, marine parks and marine management areas, are managed by the Department of Parks and Wildlife. In addition to marine reserves, there are a number of fish habitat protection areas and other closed areas managed by the Department of Fisheries. Measure finfish from the point of the snout to the tip of the tail. Pick up a free fish ruler sticker from Department of Fisheries offices or participating retail stores. two days’ bag limit of whole fish or fish trunks. one day’s bag limit of whole fish or fish trunks. ‘Fillet’ means any particular piece of a finfish, other than a whole fish, fish trunk, head, tail, fin, backbone or wing. For these pieces to be excluded from the possession limit they must be entirely removed from the fillet. ‘Trunk’ means a fish that has had its head and tail removed. These limits apply throughout WA, including permanent and temporary places of residence. The following baitfish are not included in the finfish possession limit: hardyhead (Atherinidae), sardines/pilchards (Clupeidae), whitebait (Engraulidae), garfish (Hemiramphidae) and mullet (Mugilida). Commercially purchased fish are not included, but you may be asked for proof of purchase. Some species have a specific possession limit, including barramundi. Note: Unless it can be proven otherwise, you are assumed to be in possession/control of the fish if you are using/in control of a vessel, vehicle, refrigerator, freezer, icebox or other storage device in which fish are found. If the quantity of fish stored in a single container/freezer exceeds one person’s possession limit, the fish must be clearly labelled with the name of the owner(s). Labels, of at least 75 mm long and 25 mm wide, must be securely attached to each container or package of fish. The full name of the owner must be legibly written on the label and be clearly visible for inspection. You are within your daily bag limit and still on your fishing trip. The fish are in the possession and under the direct physical control of the person who took the fish and are not stored with anyone else’s fish. whole (can be gutted and gilled). When filleting fish at sea, a minimum fillet length applies only to fish with a minimum size limit. Fish with a maximum size limit need to be landed whole. Unless they are being prepared for immediate consumption or being eaten, estuary cod, Malabar cod and barramundi (which all have a maximum size limit) must be carried whole at sea (although can be gutted and gilled), on estuaries and on rivers and landed whole. Note: These rules also apply if you are returning from an island. Unaccompanied recreationally caught fish cannot be transported by commercial couriers (or any other person). You must accompany your fish if transporting it by land, sea or air. If you are boat fishing for demersal species in the West Coast Bioregion you must have a release weight on board. You don’t need a release weight if a boat is used exclusively for spearfishing. A release weight is also recommended when fishing for demersal species in other regions. A release weight is a weighted barbless hook for releasing deep-water fish suffering from ‘barotrauma' (damage that occurs to fish when captured in deep water). The release weight is attached to the upper lip of the fish and designed to be easily detached by tugging the line once the fish is back on the seabed. Gases in a fish’s body expand due to a sudden decrease in pressure, causing the stomach to push out through the mouth or gills and the eyes to appear popped out. Barotrauma may also damage the fish's internal organs, which may not be so noticeable. Fish suffering from barotrauma may not be able to return to the bottom when released if their swim bladder remains inflated. Demersal fish are particularly susceptible to barotrauma, and mortality levels as a result of barotrauma are known to increase with depth. Prevention is better is cure – to avoid catching undersize or excess fish, it is best to stop fishing once you've reached your bag limit. Visit Recfishwest for more information.